ENTERPRISE: Oldham’s first-ever Student Market was held last Saturday at the Hilton Arcade. The O Project event saw arts, crafts and specialist stalls. MANY disabled people were left facing an uncertain future when Government funding cuts led to the closure of the Remploy factory last August. These were workers who had built up many years of loyal service in an environment that was crucial to their lives because they’d previously had difficulty securing work within ‘mainstream’ employment. Compounding the misery was the fact that the Oldham plant, in Bardsley, had a good reputation. It made excellent products and it had a healthy order book – but it wasn’t spared the axe. When former workers and local investors approached Oldham Council with the aim to restart elements of the former business it was fair to say that the hurdles in front of us seemed high. Many would have turned away at this point but the team led by local businessman Mike Braddock worked with the help of Michael Meacher MP and Councillor Shoab Akhtar, who leads on Business and Skills for us in Cabinet. This new factory at the Trent Industrial Estate in Shaw – revealed this week – is going to be run by managers who were part of the previous Remploy brand. That means customers can be assured of the same excellent service whilst also retaining that highly-valued approach to employing people with disabilities and limiting conditions. The end result is that 22 people will now be employed by 4D Enterprises – and I am pleased for several reasons. Firstly this is a welcome ray of light against the backdrop of national economic doom and gloom. Secondly, when Oldham Council was put to the test on its pledge to be ‘Open for Business’ it passed. And thirdly it also shows that other people in Oldham are also ready to – and really do – step up to the mark when asked. 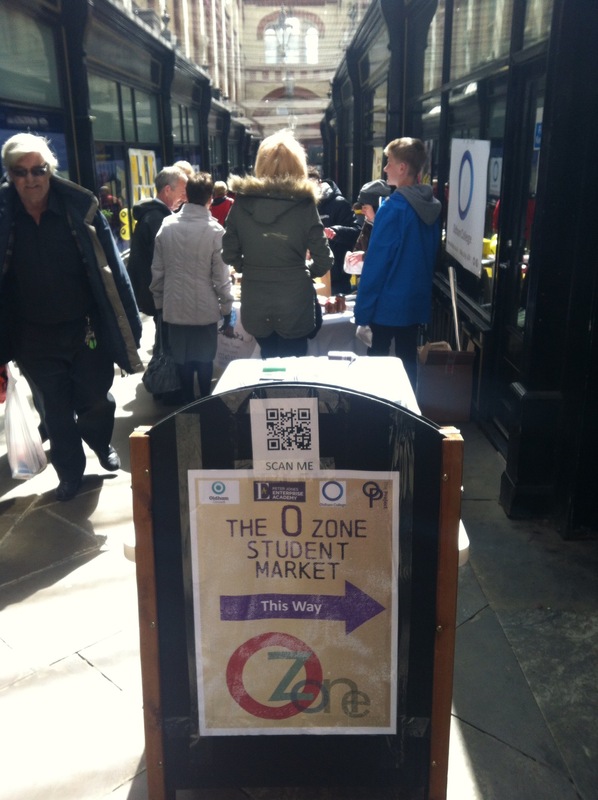 We’ve also just seen the launch of our first-ever student market in the Hilton Arcade last weekend. This fine covered walkway, which takes shoppers from High Street to Tommyfield, has always had the obvious potential to offer something different to our town centre and, on Saturday, it showed that in spades. One of the pupils involved in this is Eric Bishyika who I had the pleasure to meet on my ‘round the town tour’ of all our secondary schools. Eric took part in the conversation at the new Oasis Academy School on Hollins Road and I was convinced then that this is a young man likely to be a star – and possibly millionaire – in the making. Having secured a place at the Peter Jones Academy, Eric was already selling clothing from a stall at Afflecks Palace in Manchester. This is also an idea which came to us by Twitter from a local resident. We then took it to Oldham College, who were already looking at responding to student calls for better facilities in the town centre, and what you see today is the outcome of that. Thanks to those who are part of the O Project we now have our very own piece of arts, crafts and specialist trading right here in Oldham. What makes this so important – apart from creating a fantastic reason to visit our town centre – is the spirit of enterprise that it encourages amongst our young people. Both these stories are evidence that Oldham is beginning to shake itself off and really step up to the mark. This is going to be an exciting year for our town centre with Metrolink construction completing and works beginning on our flagship cinema and restaurant complex in the Old Town Hall. Finally – please note – because of the Alexandra Ward by election taking place on Thursday, May 9, my next blog update will now be posted here on Wednesday, May 15.